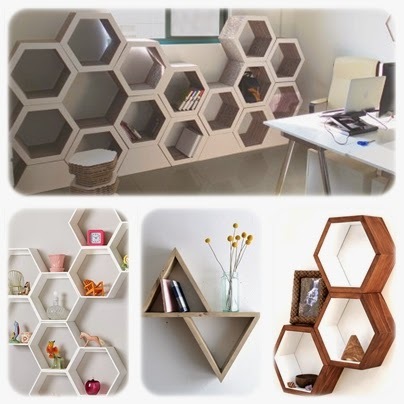 I love the trend for honeycomb and geometric shapes, especially the wall shelves that are everywhere in home magazines and blogs. 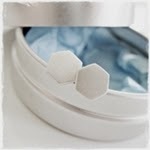 It was this trend which inspired the Geometric range of studs that was launched on RMD Jewellery a few months ago. There is something just a bit different about non standard geometric shapes that is very appealing, just a bit to the left of centre from the usual square and rectangle but no so wild that you would tire of its wackiness over time. 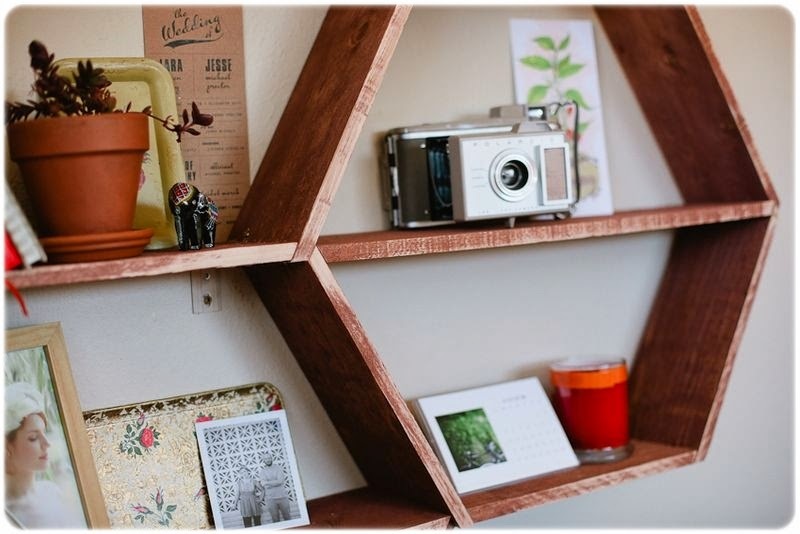 I found this great DIY shelf project on one of my favourite blogs, A Beautiful Mess providing instructions on making your own Honeycomb shelves which I would love to try but am a bit challenged when it comes to this type of construction. Whilst I am great with most crafts and jewellery construction, I am hopeless with larger construction work like this, thankfully, the widespread nature of this lovely new trend means there are options out there for us clusters who aren’t able to DIY. Here are of my picks for those of us who are not quite game to try the above DIY Project.